Next to the very popular Hurst Woods neighborhood lays the Shadow Ridge neighborhood. Shadow Ridge, Rockford MN was developed in the mid 2,000 era. The land was purchased from two home owners and conjoined approximately 10 acres of wooded land. Overlooking The Crow River Valley, Shadow Ridge is a smaller neighborhood consisting of about 17 home-sites. The lots in Shadow Ridge are mainly ¼ to ½. Shadow Ridge homes for sale average in price from the upper $200’s to over $300,000. Homes in this neighborhood consist of mainly custom built homes along with some former models and spec homes. Styles consist of mainly Two Stories. If you’re looking in the Shadow Ridge neighborhood and don’t see what you want give us a call. 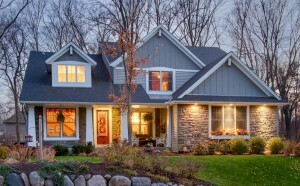 We can look in our upcoming listings in Rockford to see if we have a match for you. The Derrick Monroe Group has worked both with the developer of Shadow Ridge as well as sold many lots & new construction homes in Shadow over the years so we know the neighborhood well & can certainly help you. If you’re looking to sell your home in Shadow Ridge one of the first things you will do is contact a Realtor. I have lived less than two miles from the neighborhoods location since 1990 and have sold more homes in Rockford than any other Realtor year after year. I do not say this to impress you but to impress upon you the importance of having a Realtor that knows the area, better yet, having a Rockford Realtor like our team offers. Our Shadow Ridge Realtor can offer you a free, no obligation home analysis of your property to pinpoint the current value and best strategy to sell the property in today’s market. From Plymouth go West on State Hwy 55 about 15 miles to Rockford, turn right or North on CR20 also known as Jansen Ave SE to Shadow Ridge development on the left. The Derrick Monroe Group is standing by to help you buy or sell in Shadow. The DMG team of experts have sold many homes in this neighborhood and previewed others. Call DMG at 612-282-SOLD or use the form below to speak with our professional staff.